There's nothing I love more than a bookish event! 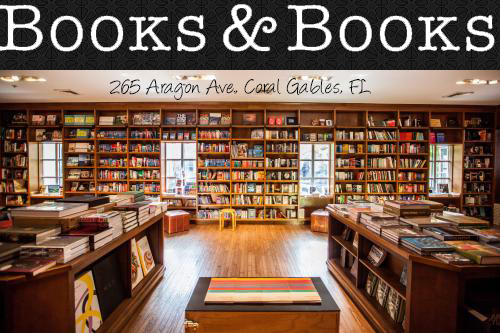 And, on March 22nd I was able to attend and moderate the Penguin Teen tour at Books and Books in Coral Gables, Florida! 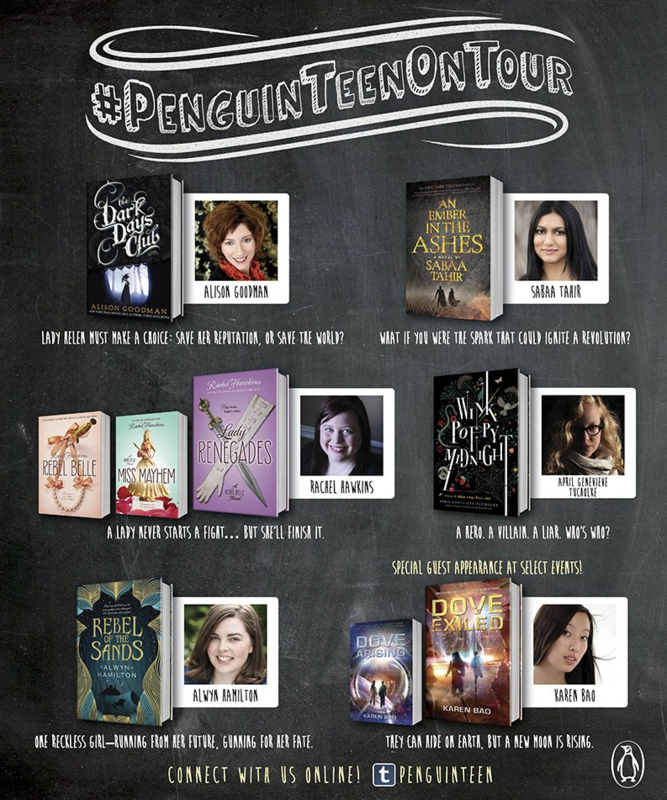 Even though I am a teacher and a journalist...both careers that don't really let you be shy...I was nervous to meet and chat with authors Alison Goodman ("The Dark Days Club"), Alwyn Hamilton ("Rebel Of The Sands"), Rachel Hawkins ("Miss Mayhem"), April Genevieve Tucholke ("Wink Poppy Midnight") and Sabaa Tahir ("An Ember In The Ashes"). All of them are talented authors with amazing releases that will surely keep you all entertained! With that said, the night went on as a lovely one and I was so thrilled to be a part of it! From talking about inspiration to chatting about what makes for a good YA novel, the ladies were amazing and just so great to host! 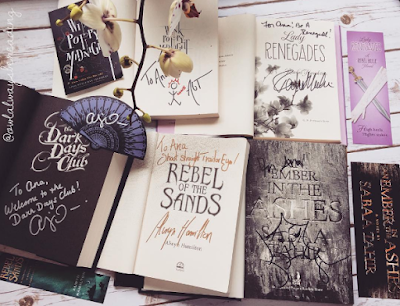 I am so thankful to Books and Books for hosting such an amazing event and look forward to even more cool ones in the future filled with bookish fun! Check out some pictures from the event below and tweet at me at @AuroraMiami if you have read any of these books or wish to dig into them in the future! Have a great bookish day! oh what a treat. Loved wink poppy midnight. Genius. I would have loved to meet that author.